Baked chicken cooked in a mild creamy curry. Boneless chicken cooked in a medium spicy curry. Naan rubbed with carmalized onion. Homemade Indian cheese cooked in a creamy spinach curry. Boneless chicken marinated in herbs & spices. Crisp turnovers stuffed with seasoned ground turkey meat. Fried eggplant marinated with herbs & breadcrumbs. Fried butter mushrooms breaded with chat masala. Crispy fried shrimp with tartar sauce. Boneless Tandoor chicken served over lettuce, tomatoes and cucumbers. Tandoor style homemade cheese served over lettuce with tomatoes, onions and green bell peppers. Boneless honey lemon chicken served over lettuce, tomatoes, onions, mandarin orange with honey segare dressing. 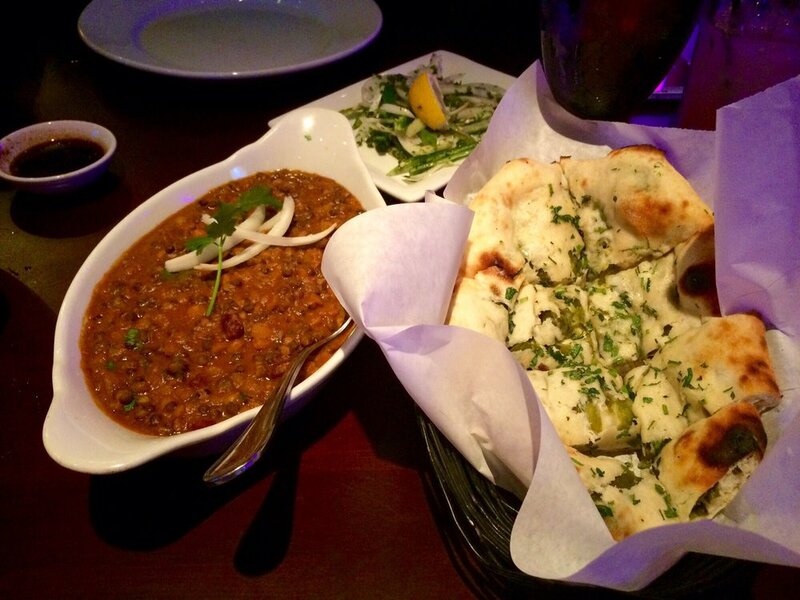 All breads are baked in the traditional tandoor clay pot oven. Naan rubbed with caramelized onion. Naan bread stuffed with potatoes and peas. Naan bread stuffed with ground turkey. Excludes Mixed Kabob and Sheekh Plates. Served with rice, naan bread and choice of salad. Additional charge for lamb and shrimp plates. Baked in a tandoor clay pot oven. 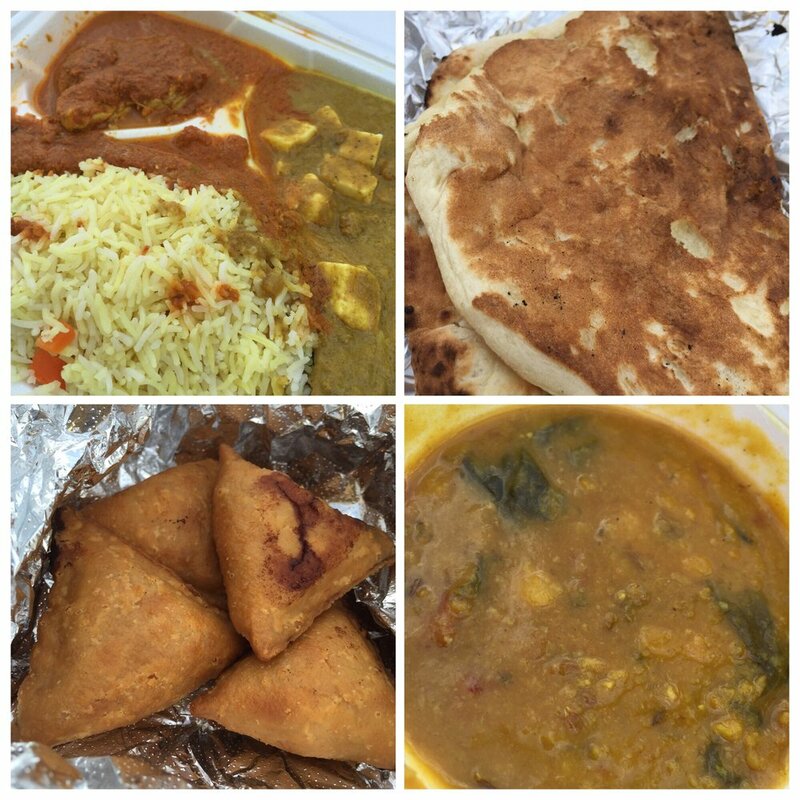 Entrees served with rice, naan bread and salad. 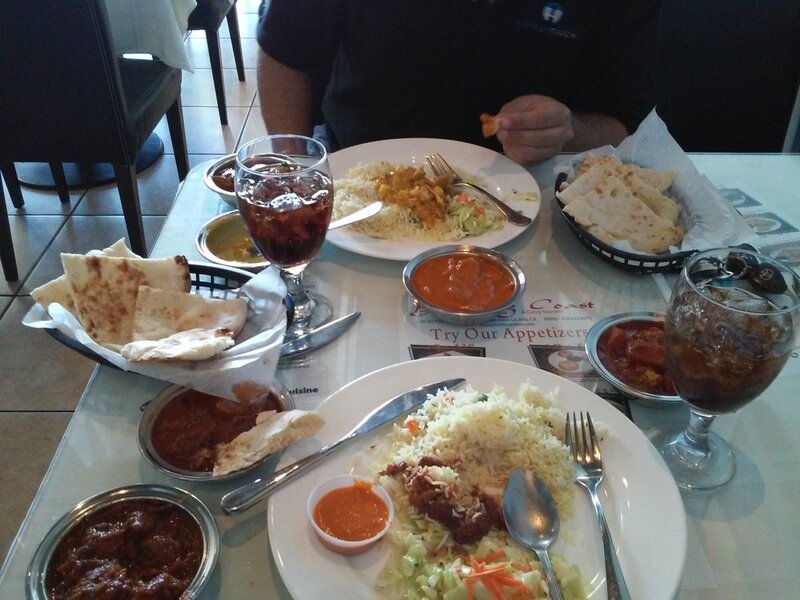 Four types of different meat, chicken tikke, honey lemon chicken, sheekh kabob & reshmi kabob. Boneless chicken marinated in honey, freshly squeezed lemon & Indian spices. Ground turkey marinated with herbs & spices. Served with rice, naan bread & salad. Shrimp cooked in a medium spicy curry. Shrimp cooked in vindaloo paste with a sour curry. Shrimp cooked with stir fried bell pepper & onions in a medium spicy curry. Shrimp cooked in a tomato mild creamy sauce. 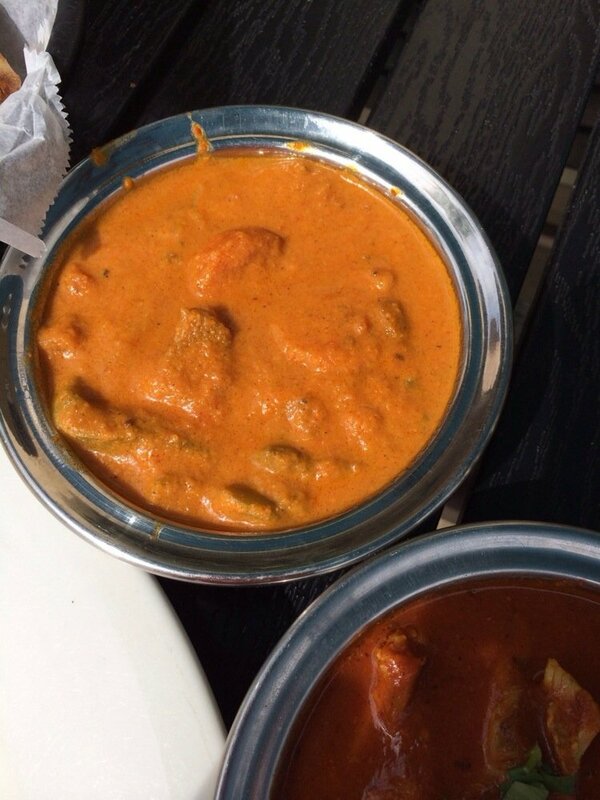 Boneless chicken cooked in mild creamy curry. Boneless chicken cooked in a medium spicy curry with stir fried onion and bell peppers. 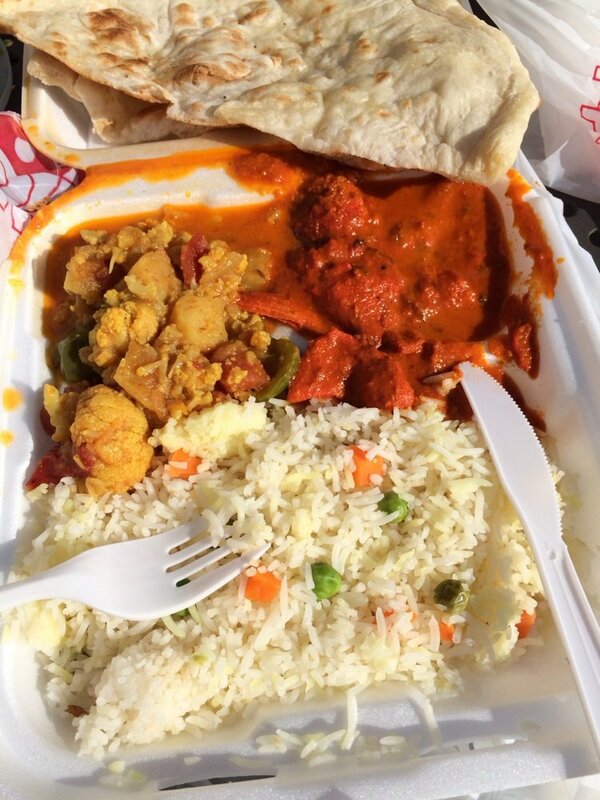 Boneless chicken cooked with potatoes in a medium spicy sour curry. Boneless chicken cooked with creamy spinach curry. Boneless chicken cooked in a mild creamy mango sauce with mango slices. Fresh zucchini, carrots, broccoli, sweet green beans, cauliflower, green summer squash and lima beans cooked in a coconut flavored curry. Sweet green peas and homemade Indian cheese cooked in a mild creamy curry. Yellow split lentils and fresh cooked spinach with herbs & Indian spices. Garbanzo beans cooked in a special blend of Indian Spices. Baked eggplant cooked in a special blend of Indian spices.